I draw on my own powerful story of an impoverished immigrant who was frequently told that I would amount to nothing. Now a venture capitalist and futurist, I describe my meteoric rise from obscurity to prominence in my book Strive. My dramatic turnaround led to the hypothesis that what really drives success is not simply intellect, opportunities, or even network; instead, it’s all about pursuing personal change that’s uncomfortable. Popular beliefs about success are profoundly wrong. Success is not merely a matter of being born in the right place at the right time to the right family. It involves much more than hard work, money, practice, or even intellect. History is littered with people—those with high IQ, talent, money, power, and fame—who squandered every advantage and ended badly. There is, however, a way to reach your goals, and I am a living proof. I have found a way to guide my life in a positive direction, realizing success I never thought possible. And it doesn’t require 10,000 hours, being born into the right family, or being as brilliant as Albert Einstein or Marilyn vos Savant. It’s a little secret I call Strive. Strive is the principle that helped me take control of my life. It’s about embracing change and doing things way outside your comfort zone. Strive demands persevering in the face of rejection and adversity. Taking control of your success is something you can do right away. It’s available to everyone, not just the privileged few. Does success elude you? Have you read countless articles and books about improving your life but got nowhere close to success? You’re not alone. The only way to get out of the vicious cycle is to shock your system! Doing something a little better or even a little differently isn’t going to work. Real, transformative change only happens when we take outsized risk to step way outside our comfortable zone. It’s only when we do the things most uncomfortable that we realize the greatest gain, which didn’t seem possible. "Strive. Pushing through our limits, doing the hard thing, and focusing on constant and never ending growth and improvement is the ticket to impact and fulfillment!" The area that I am most passionate about is the Fourth Industrial Revolution. Exponential technologies such as AI, Internet of Things, blockchain, robotics, advanced materials and renewable energies, to name a few, have the potential to transform industries and nations. The best way to stabilize a region or nation is not through foreign aid, sanctions or military intervention but through sustainable economic development. When they are able to create their own IP/ patents, build new industries around those IPs, employee their own citizens and grow their GDP, that's making a difference in the lives of millions of people. But in order to bring that magnitude of transformation, individuals have to embrace change. It requires doing the things most uncomfortable to transform a region or a nation. That's effectively what South Korea did after WWII/ Japanese colonization and the Korean War. In the 1960's, they were poorer than most Sub-Saharan African countries. Today, South Korea ranks in the OECD and G20 nations. And it's only half of a country. For years, my wife accused me that I was forever stuck in the 1980's. (I personally think that it's a pretty decent decade.) When I started my global speaking circuit, I knew that I needed a fresh update. A few years back, I had a photo shoot with a famous Korean photographer. Her work is less commercial and more museum art exhibition style. My philosophy is that you have to look your best in public. If I am to change mindsets, transform nations, they have to trust me. My content speaks for itself but I also take great efforts to make sure my personal brand is at the highest professional level. My better suits are custom tailored from South Korea. I always wear bold matching ties, pocket squares and socks with oxblood shoes with my Italian Tuscany Alessandria leather briefcase in hand. My office is the world and I show up to work, eager to change the world. One advice that I would give to others feeling rutted in their comfort zone is this: jobs will come and go but your personal brand will stay with you forever. I wish that I had known this years ago. Make sure that you represent your personal brand in the best light possible. You are the product. I use it for my hair and skin. Organic shea butter, organic coconut oil, organic sunflower oil, organic olive oil, organic beeswax, organic essential oils — frankincense, borage, rose hip, lavender and other secret ingredients I'm instructed not to disclose. It conditions my hair and styles it without making it greasy or heavy. It doubles as my anti-aging cream for my wrinkles and skincare. The best part is that I don't have to worry about cancer causing ingredients. It's all natural and organic. I have a collection of men's fragrance. I switch based on mood and context. My favorite these days is Sauvage by Dior because it's complex and sophisticated. In addition to my wife's elixir, I occasionally use BVLGARI if I want a stronger fragrance. It has a masculine, sporty fragrance that moisturizes without the heaviness. This sunblock is light and easy to apply without the heaviness of titanium dioxide and zinc oxide-based products. It's fragrance-free and well suited for oily skin types. Scott Amyx is the author of Strive: How Doing the Things Most Uncomfortable Leads to Success, which has been endorsed by Tony Robbins, Forbes, Singularity University, Tribeca Film Festival and other influencers. 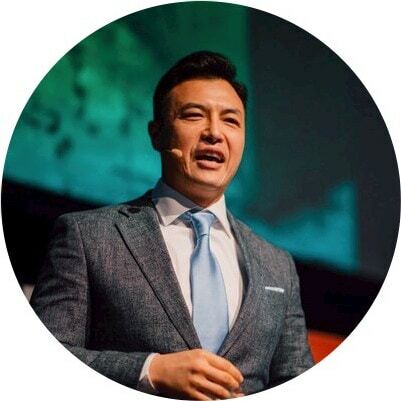 He is a global thought leader and venture capitalist who has appeared on TV, TIME, Forbes, New York Times, TechCrunch, CIO, Washington Post, Wired, Forrester, G20 report and other major media. 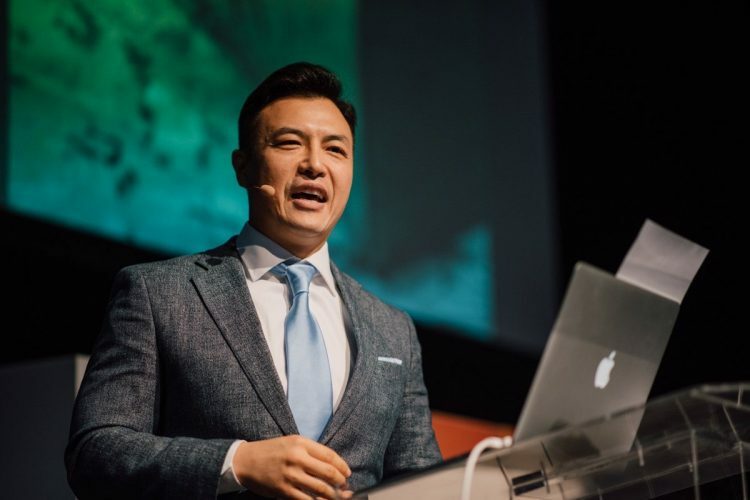 He is an IBM IoT Futurist, Tribeca Disruptor Foundation Fellow, Singularity University/ Smart City Accelerator Mentor, National Sloan Fellow/ Woodrow Wilson Fellow and winner of the Cloud & DevOps World Award for Most Innovative. Scott was voted as a top 10 Global Speaker by Speaking.com and voted most influential leader in Smart Cities, IoT and exponential technologies by Inc. Magazine, Internet of Things Institute, HP Enterprise, Postscapes, Onalytica, Relayr, Right Relevance, Skyhook and World CSR Congress.